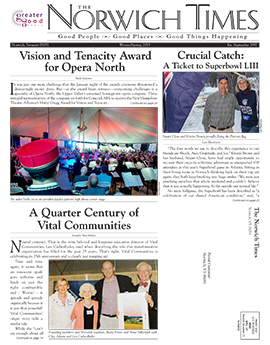 December 7, 2015by The Norwich TimesNo CommentsAll, Animals Rule! Norwich-based dog trainer, Sue Kenney hasn’t always been a professional dog trainer, but she has always been involved with training dogs. 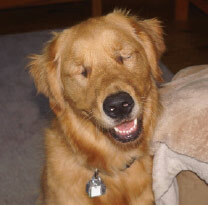 It started with raising Guide Dog puppies for the blind. Sue raised Guide Dog puppies since her children were young and would bring them into the Marion Cross School in Norwich. The dogs were even incorporated into the curriculum; students would keep journals about each puppy’s weight, nutrition, and behavior. Of course, the benefit went both ways, it was excellent socialization for the puppies as well. When Sue moved on from the Marion Cross School, she studied under other instructors until she became a dog trainer herself. 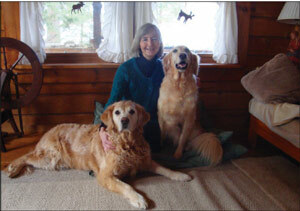 Although it was a big leap, she decided to start her own business called Goldenbookends Family Dog Training. The Golden Bookends, Pablo and Lady, were her two golden retrievers at the time. Pablo was a pup they raised for the Guide Dog program who didn’t make it, and Lady was a rescue. Sue did not advertise her business and, although that made her worry, she quickly found that news spread by word-of-mouth. She now teaches classes at SAVES in Lebanon. The realization that you can start a business at any time in your life and be successful has also been one of the biggest bonuses of Goldenbookends, Sue commented. “If you enjoy what you are doing, people know that. They know you are in your element,” she said. Her main goal is for the handler and the dog to develop a strong bond through the use of games, focus exercises, and self-control in order to communicate with each other. Unlike the traditional dog training classes where the idea is to have a dog submit to the human, Sue encourages obedience but with a give and take, an understanding of dogs, how they are wired and how best to work as a team. Using this philosophy, she tries to create an enjoyable experience. The classes themselves create a wonderful sense of community among the humans too, as well as the dogs of course. She also noted that the community often extends beyond the classroom as the handler/dog teams sometimes get together outside of class, building a supportive camaraderie that can create lasting bonds. The original Golden Bookends have passed on since Sue started her business, but she has a new arrival in her life. Sully, a twenty month old blind golden retriever came to live with Sue in August of this year. 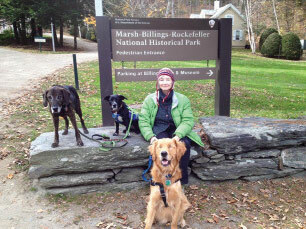 She found the young dog, who has been blind since birth, through Yankee Golden Retriever Rescue based out of Hudson, MA. It’s been a new challenge, she said, but Sully has been a very willing participant, happy to live out in rural Vermont where he can hike whenever his handler wants.